Do you identify your linebackers as something other than Sam, Mike, and Will, or do you use player numbers on your play cards? 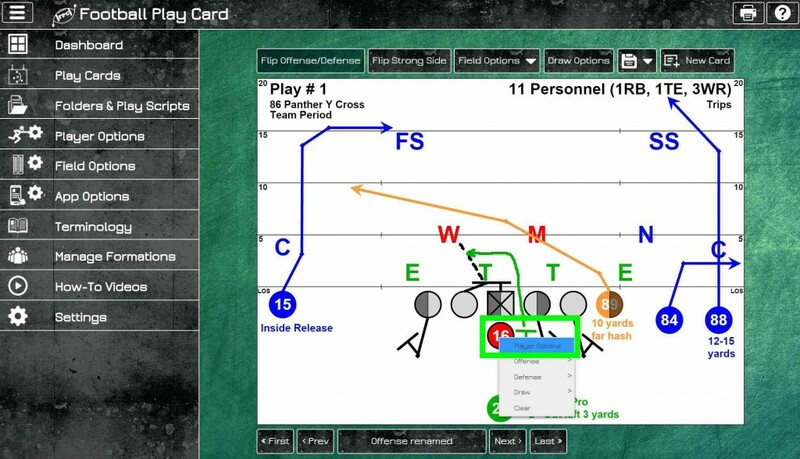 What about colors; are your running backs green and your receivers blue? 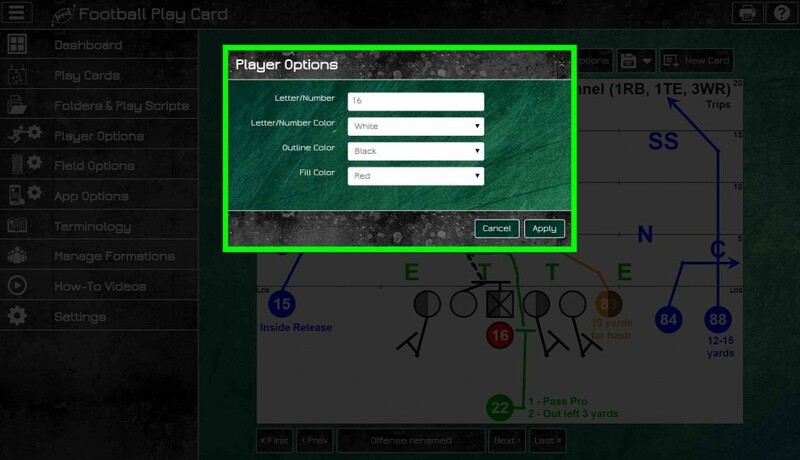 With the Football Play Card Player Options, you can quickly change each player’s letter, number, and color so you can identify your players just as you would as if you were still using old school markers and paper. Log in now to update the terminology of your personnels, formations, fronts, and coverages to match your team’s and to check out all of the latest functionality and enhancements. 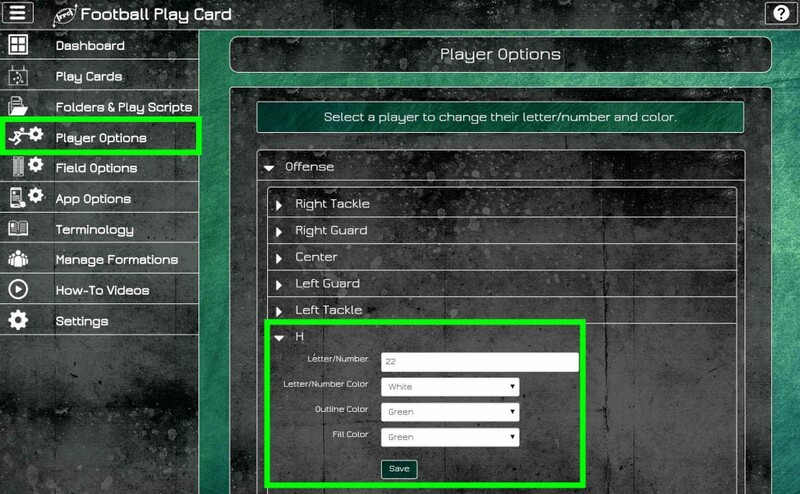 This entry was posted in Quick Tips and tagged Football Play Card, Player Letters Numbers Colors, Player Options. Bookmark the permalink.